These are just a couple of the sentiments flying about in the Gulf Coast, people who have read the news, maybe even seen the images but are unwilling to accept it as fact, and who could blame them? I too, have my doubts and this doesn’t make me crazy, it just makes me a realist, a skeptic. The Macando Well has been blowing oil for almost ninety days and the public has been treated to lie after lie by British Petroleum. They say they’re not restricting access by reporters. They say they haven’t just been dumping sand on oiled beaches, instead of cleaning the mess up. 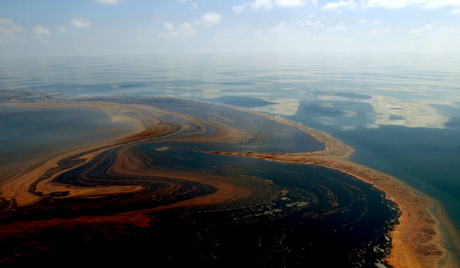 They claimed there were no oil plumes despite using a dispersal that creates oil plumes. Thad Allen initially said the top kill worked. They said they weren’t requiring fisherman to waive fiscal reparation forms in order to be hired by BP to clean up BP’s mess. These are only a few of the multitudes of lies that BP and the government have been spewing as fast and thick as the oil gusher so of course there are skeptics, of course people exist who believe this could very well be just one more lie. Damn right…and here’s hoping there’s enough political pressure to make sure BP is there the whole way, like they promised, if that promise just wasn’t one more lie.